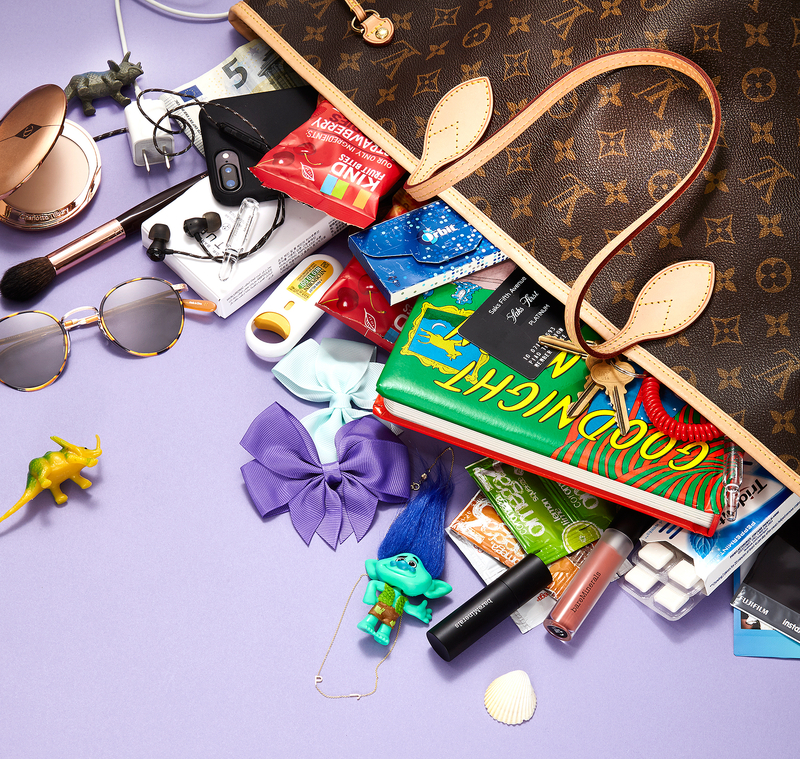 Daphne Oz: What’s in My Bag? As a mom of two with one on the way this winter, Daphne Oz has to do some heavy lifting. Brimming with essentials for Philomena, 3, and Jovan, 22 months, “all my bags are very weighted,” admits the natural foods chef and author. The 31-year-old, wed to financial analyst John Jovanovic, shares her haul exclusively with Us Weekly. Kate Bosworth Shares Her Vacation Beauty Routine: Shop the Look! What else is in Oz’s bag? A Maya Brenner necklace with her children’s initials; Dr. Barbara Sturm Hyaluronic Ampoules; a Charlotte Tilbury Airbrush Flawless Finish Powder; a Charlotte Tilbury Powder & Sculpt Brush; a Bare Minerals liquid lipstick in Weekend; a Bare Minerals lipstick in XOX; keys on a red coil chain; Cat & Jack hair bows in purple and blue; a Saks card; polaroids; five Euros; an iPhone charger; Orbit gum; Trident gum; KIND Fruit Bites in strawberry; Neosporin and Coromega packs.